We know it can be difficult to choose colors from a computer screen. It helps that one of the beauties of mineral makeup is that a number of colors will work on each person. It is so hard to convince people of that until they have tried it. Because the minerals blend with your skin instead of forming a layer over the skin, it picks up the shades of your skin. Therefore, you can use a number of colors. The other thing to remember is that our skin isn't all one color but rather a mixture of colors which is why so many can work. That's the fun of mineral makeup. Please do NOT e-mail us for help in choosing colors. All the information we can provide is listed here. We cannot make color comparisons with other manufacturers' colors. If you're not sure about a color, we strongly suggest you try the 3-gram sample size first because we cannot accept exchanges or returns. You can customize your colors by mixing any of our colors together. You can order extra jars and sifters by clicking here. You can use any color on any of our pages for whatever purpose you choose, but here are the colors typically used for foundations. The lightest of our pink-undertone foundations. The lightest of our yellow-undertone foundations. The second-lightest of our pink-undertone foundations. The second-lightest of our yellow-undertone foundations. Get 3 grams each of Cherry Vanilla, Vanilla, Fair and Almond and a non-latex sponge applicator. Get 3 grams each of Medium, Honey, Rose Beige and Golden Beige with a non-latex sponge applicator. This sampler includes 3 grams each of Cherry Vanilla, Fair, Medium and Rose Beige and a non-latex sponge applicator. This sampler includes 3 grams each of Vanilla, Almond, Honey and Golden Beige and a non-latex sponge applicator. Cappuccino is a pink-undertone foundation. Latte is a yellow-undertone foundation. Toffee is a pink-undertone foundation. Caramel is a yellow-undertone foundation. This sampler includes 3 grams each of Latte, Cappuccino, Caramel and Toffee and a non-latex sponge applicator. Mocha is a dark pink-undertone foundation. 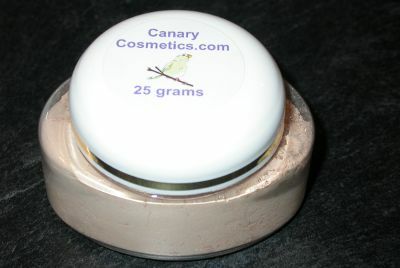 Cinnamon is a dark yellow-undertone foundation. Dark Chocolate is our darkest pink-undertone foundation. Cocoa is our darkest yellow-undertone foundation. This sampler includes 3 grams each of Mocha, Cinnamon, Cocoa and Dark Chocolate and a non-latex sponge applicator.